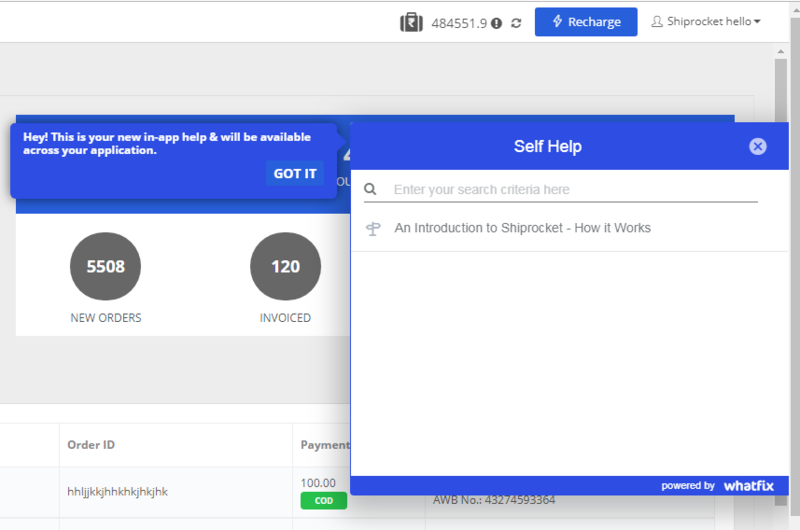 When orders get synced from different channels, it is common for details to be sketchy or varied than the standard followed by Shiprocket. Now you will get information about any incomplete orders, and you can update them easily. 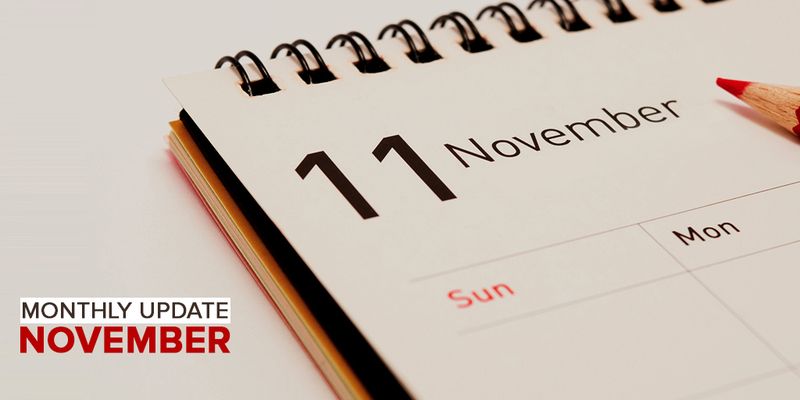 You will be able to see a red alert around the incorrect/incomplete information. 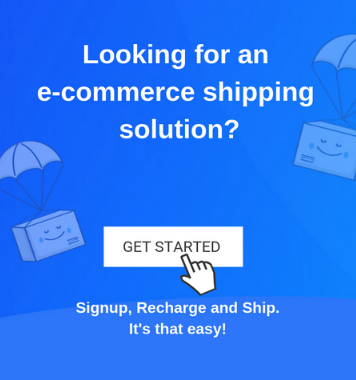 This alert will enable you to make any changes as soon as possible to avoid any confusion during shipping and also streamline your process for easier handling. Just look out for this red alert symbol around any information box. Upon hovering over the alert, you will see the incorrect information mentioned, and you can correct the same. – Company name, logo and seller support details. 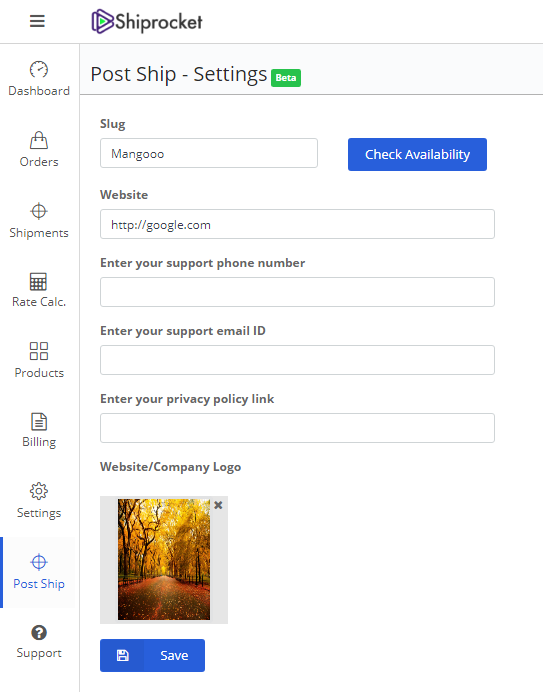 You can modify each of these features under the Post-Ship module in your Shiprocket app. To add more menu links, click on ‘add another’ and follow the same procedure. 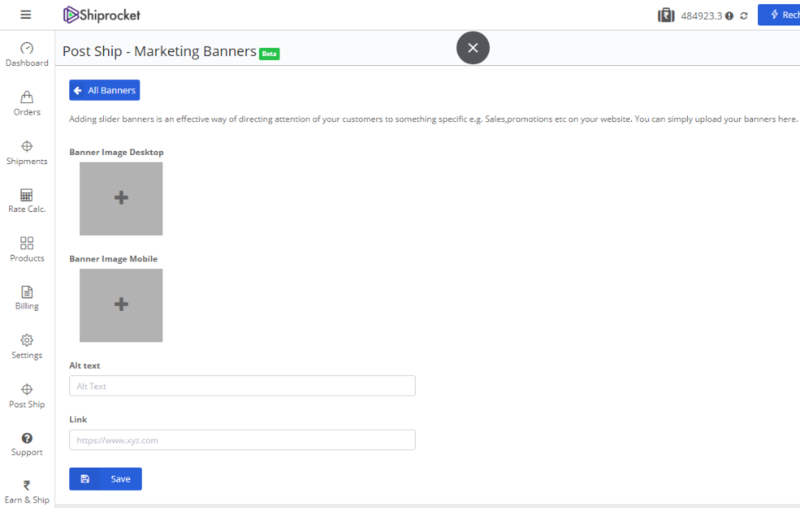 NOTE: Maximum of 3 marketing banners can be added. For those operating the Shiprocket app for the first time, we understand it can be challenging to get around to using the application. However, now you can easily follow any feature you get stuck at, yourself! Just go to the ‘Self-Help’ option appearing at the right side of your panel and look for related documents, images, and videos of the problem if you are stuck. This way you are sorted and don’t need to rely on phone calls with the support team now and then – Saving an ample amount of productive time for your business! – Receive bulk order invoices on your registered email ID and company email ID to avoid any confusion. – Get notified for weight discrepancies if any. When processing an order above the prescribed limit, you will be alerted. In the case of single order processing, you are alerted if the applied weight is above 10 KG for air and 25 kg for surface courier partners. While for bulk order processing an error will be shown along with remarks informing you that the weight is higher than the prescribed limit. We hope these new inclusions will simplify your business and also help you scale great heights!